Thanks to DVDO's generous hardware upgrade program I have owned several DVDO video processors. Each time I upgraded I documented the process. 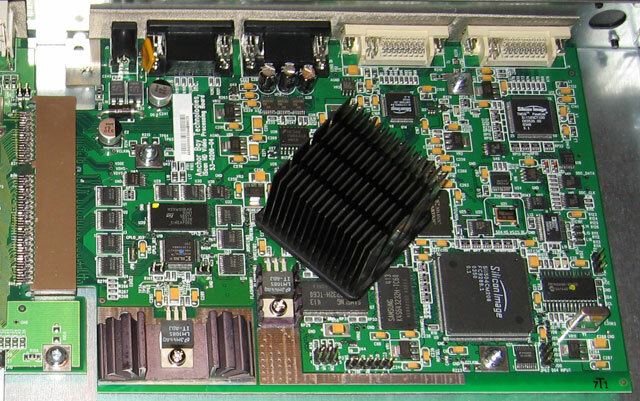 The result is an image gallery of the internals of the past couple generations of DVDO processors. The gallery covers the DVDO iScan HD+, VP30, and VP50. It is interesting to see how their processor designs have evolved over time. The front panels. The VP30 is on the top and the HD+ is on the bottom. 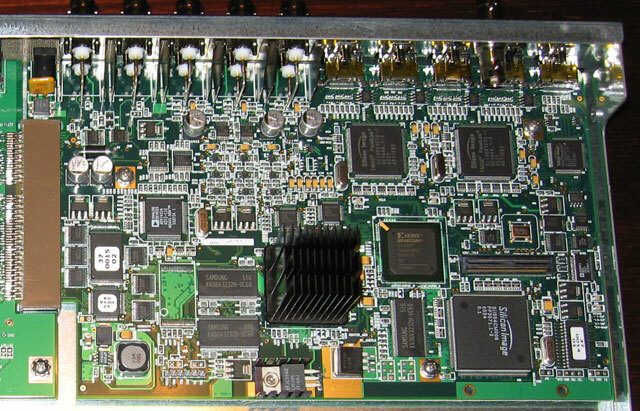 A close up of the left hand side of the HD+ main board. 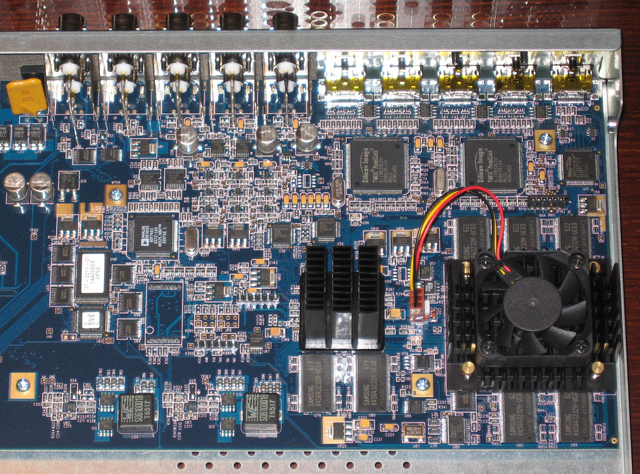 A close up of the right hand side of the HD+ main board. 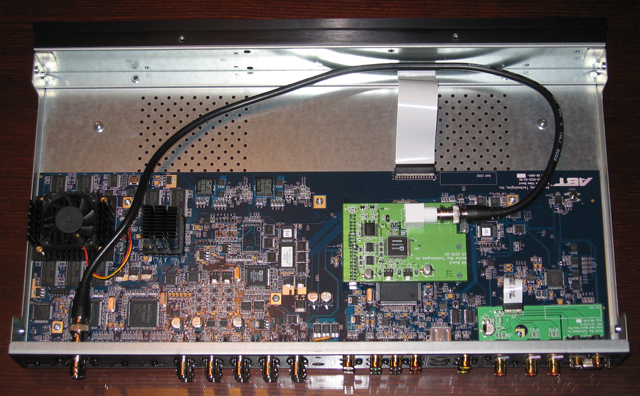 The HD+ with the SDI card and cable installed. The internals. 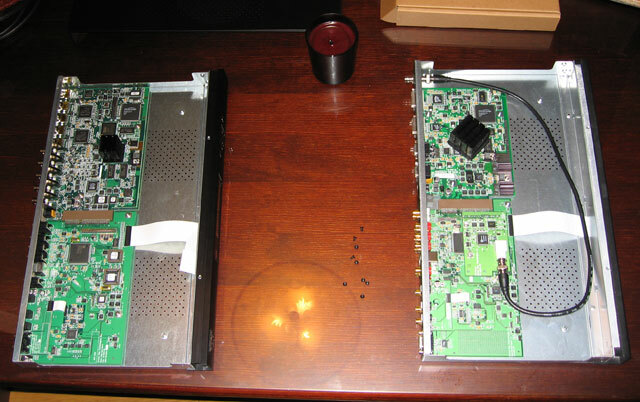 The VP30 is on the left and the HD+ is on the right. 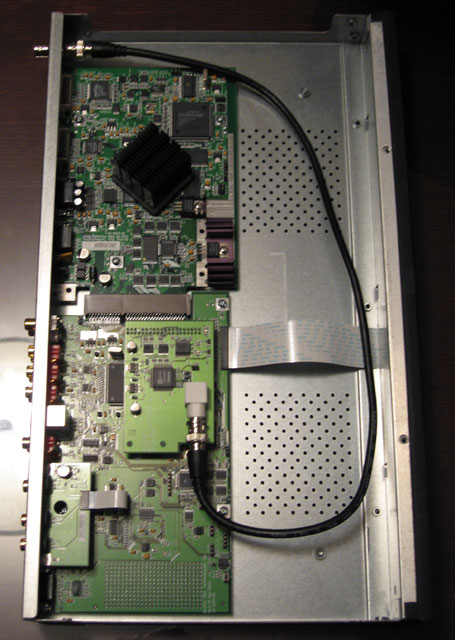 The HD+ has the SDI Card installed. 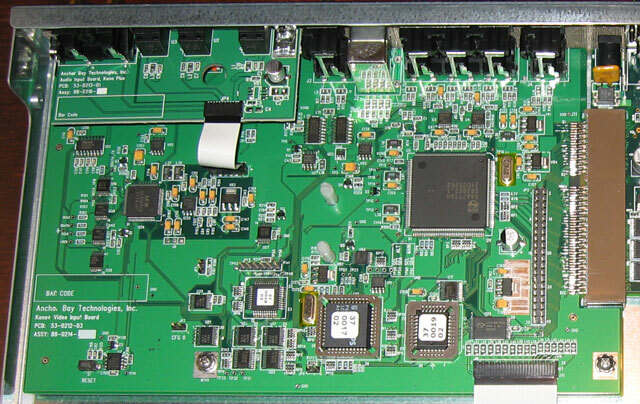 A close up of the left hand side of the VP30 main board. 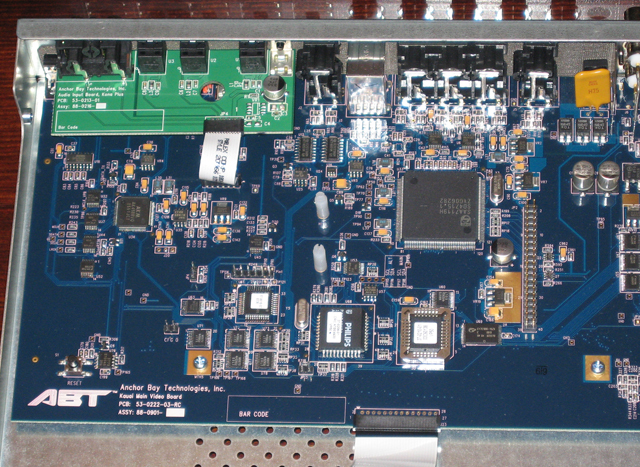 A close up of the right hand side of the VP30 main board. The VP30 with the SDI card and cable installed. The front panels. The VP30 is on the top and the VP50 is on the bottom. The internals. The VP30 is on the top and the VP50 is on the bottom. 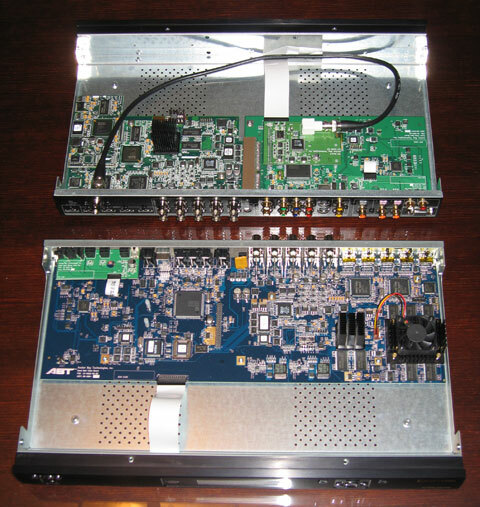 The VP30 has the ABT102 card and SDI Card installed. 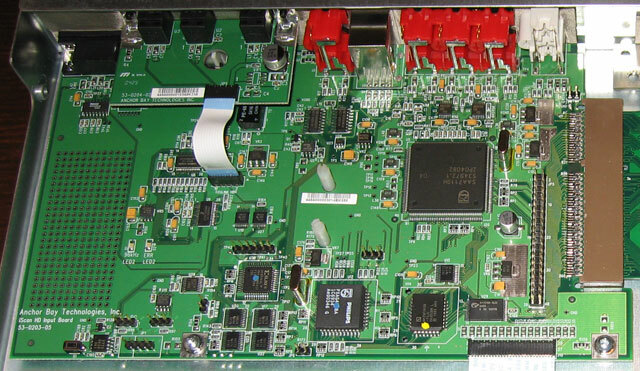 A close up of the left hand side of the VP50 main board. 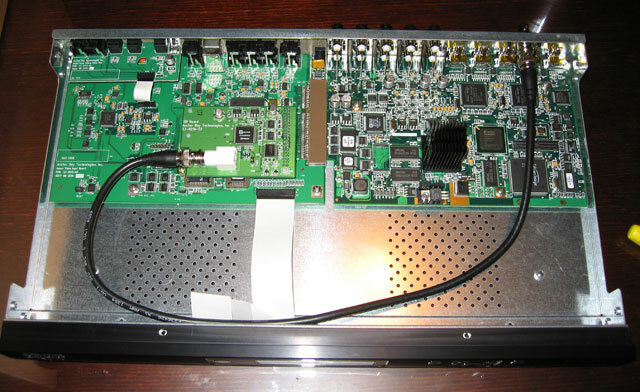 The VP50 with the SDI card and cable installed.